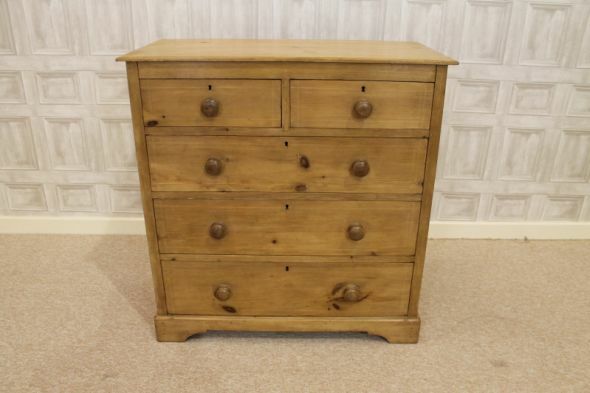 A fantastic and extremely useful Victorian pine chest of drawers. The chest has two small drawers to top, and graduated drawers below. The chest is in a beautiful warm and hand waxed finish, and all of the drawers run smoothly. An ideal piece of antique bedroom furniture for any period bedroom setting.